I have come to realize that I am a much better person (and mom and wife) when I wake up feeling rested from a good night’s sleep. I used to be such a night owl and loved staying up late into the evening watching hours of mindless TV. Since having young kids that wake up between 6:00-7:00am most days, it isn’t really an option to actually sleep in. It’s funny to think about how waking up at 8:00am on the weekend or during the holidays feels so wonderful because an extra hour or two can make such a difference. I remember when 10am used to seem like a sleep-in. Oh those were the days. 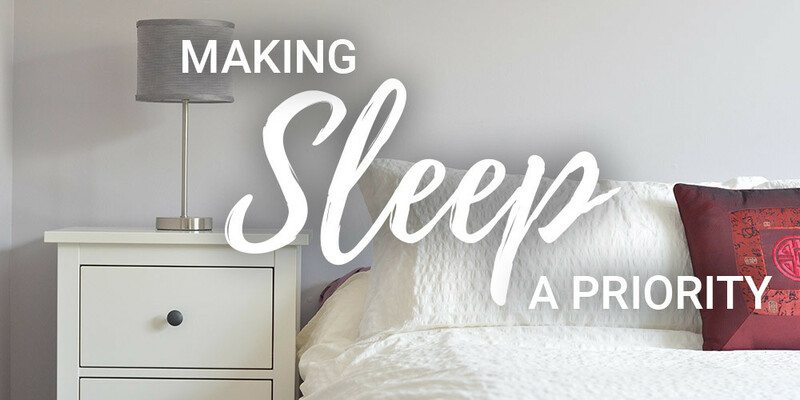 Making sleep a priority is something I feel strongly about because I have seen first hand how different I feel and act when I have sleep versus when I’m sleep deprived. Here’s what I’ve come to learn about myself when it comes to sleep and my own happiness. I am so much happier when I wake up before the kids because it means i’ve been able to start the day on my own terms. I can go downstairs and make myself a tea and let myself slowly wake up. When the kids wake up before I do, it usually results in me getting jumped on or asked lots of loud questions that i’m no prepared to answer coherently or patiently. The feeling of being able to control my responses and actions is amazing. When I am a well rested parent, I am able to do a great job of this. However, when i’m tired and not feeling like my best self, that’s when it is so easy to lose my temper and get short and snippy with my kids. This often ends in me regretting my behaviour and am once again reminded that i’m the parent and know better. Sometimes you just need to recognize when you need a timeout to take a quick breather and then you’re able to regroup and are good to go. When I’m rested, I am so much better able to be present with my kids and attend to their needs. I have energy to play games, read books and give my undivided attention to them. I am very aware of what it’s like to talk to someone when they’re distracted by their phone and not giving you their full attention. It never feels great so I’m trying my best to set my phone aside when it’s family time as much as possible. Sometimes this is easier said than done. My goal this year is to be upstairs and in bed by 10pm. Some nights I’ll read a chapter in a book or i’ll just do a quick entry in my 5 year journal about the past day. This is still a bit of a work in progress goal. The nights I have stayed up past 10pm I have definitely paid the price the next day and am once again reminded of why I need to be in bed at a decent time each night. Are you a night owl or a morning person? What time do you need to go to bed in order to feel great waking up the next morning? I’d love to hear what works for you!